I kind of lost my place in my blog tales, near as I can figure the last thing was the Jazz band jam. Ok so yeah. I had the Shakuhachi thing at Shintannoji. I wrote about it on the Komuso blog. A brief recap here. Shintennojiis considered the oldest Buddhist temple in Japan, I was invited once again to join the memorial concert and play a song on the Shakuhachi. This is my second year doing this. It is both a big deal and nothing. I was the only “gaijin” in attendance. This is event is something that has been going on for many many years. Once again I was the first one to perform. I figured out later it was because I was the new kid on the block. It went well. I played a different length Shakuhachi this time. The one I use for modern music, because I like the deeper sound than my 1.8 standard size. It went well. I did not make any noticeable mess ups and was only somewhat nervous. A new music friend who had contacted me on-line came over to me meet and listen. She was interested in doing some music collaborations for YouTube. We went for coffee afterwards. We came across a place where there was an open mic session going on. As it turns out one person there knew me and mentioned to the club owner I was a Shakuhachi player. I was pretty surprised that he knew that as I thought this person had only seen me play bass. Next up was another Jam session at Chicago Rock. I got in touch with the keyboard player from m band. We meet up at the club. 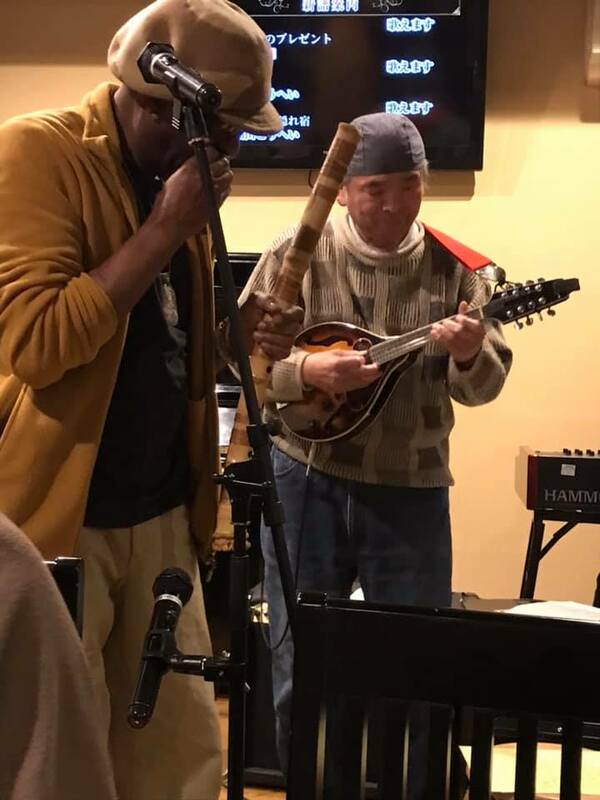 I had planned this time to do a blues song on the Shakuhachi. The same one I did with the Jazz band. This time I was more prepared to deal with the sound issues I had before. 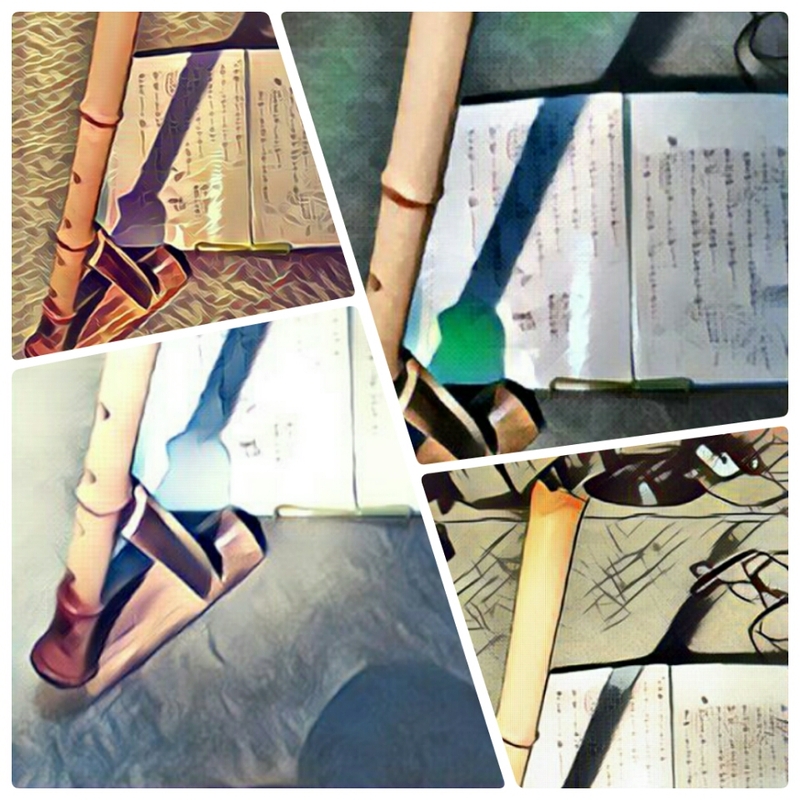 At first, I was going to start with the group play with me on the Shakuhachi then switch at a certain point and play the bass. However, at the last moment, I changed my mind. Since I had the music chart written out I figured I would let someone else play the bass. I would just focus on the Shakuhachi and singing, maybe do a little harp depending on how it was going. I did a couple of songs playing bass and singing, they went ok as expected. My last turn up on the mic, I chose to just play Shakuhachi. As usual, people were surprised when I bought it out. I had the bass player from the last group play bass and my friend on Keyboard plus a couple of guitar players. We started. It went well. It was a bit rough but that is to be expected at a Jam with no rehearsal and a new song for everyone, plus a new arrangement. I had no real problems with the sound this time. It was not great but I could hear myself and others could hear me. The middle section did not go as nice as I wanted but, as I said expected. However, overall it went ok. There was no point I felt embarrassed. So that was a win. I asked a couple of people afterward online what they thought all said it was good. So I have the confidence now to continue. I have figured out the getting the sound out issue, so I can move forward. 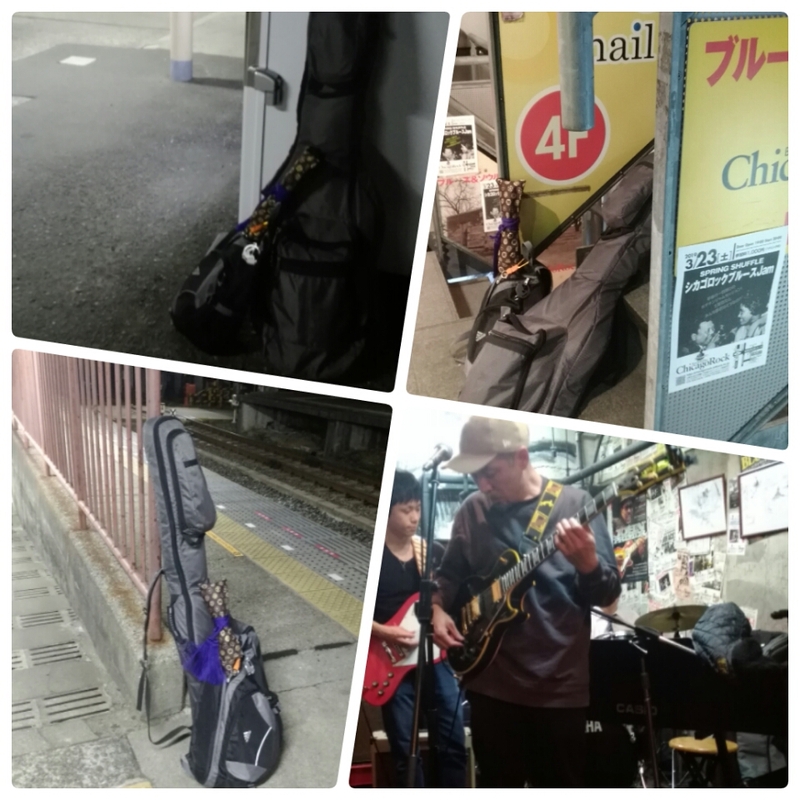 Also now I am getting established as a Shakuhachi blues player, something rare on the blues world. I am getting to do something a little different, in a place where everything is the same. The band has a concert coming up at the end of April. A big blues festival. Last year I played solo on keys and Shakuhachi. This year the new band is enrolled. I will be doing two songs with them. The guitar player has no nite a second guitarist to sit in with us. That will work out fine. I will have one of them play bass whilst I play only Shakuhachi and sing. I had thought of doing the opening with Shakuhachi then switch up midway to playing bass. This way will be better. We have two practice sessions, before the concert so there will be time to work out the rough spots in the tempo change. It should go over good and be unique and memorable if we can pull it off. Diffinetly something no other band will be doing, I want that. We had our monthly meeting a few days ago. The day before my return to Shitennoji to play. So it was another good chance to practice in front of serious ears. Today we were supposed to have a guest. A student of Oliver, a sempai to me of course. He is a college prof and a writer. 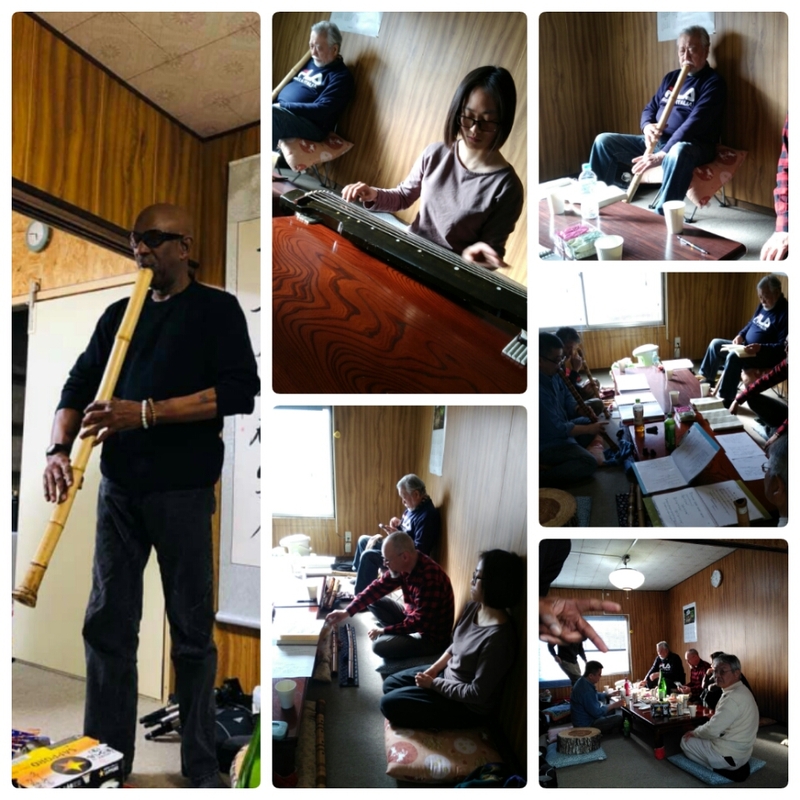 You can read his blog/webpage here on Komuso, shakuhachi, Ok, so his student from China who is visiting in Japan was going to be there. Hopefully, she would bring her Chinese Koto and play. I was coming for sure that day. I came from another part of town than usual, I wanted to attend a Buddhist meetup I had been pushing off for a long time. A spent a lot of lost time that morning searching for the location. However, all of that is another story. I arrived at the Shaku group meeting a little later than planned but not enough to have missed a lot. I needed to pick up food to bring and grab something to eat then. I slipped in and joined in the song that was upcoming on the agenda. A short while later another elder sempai bows his way in. We continue and also repeat Cho Shi together once more. The way is made around the table for everyone to play a solo piece. I did Tamuki as a test for the Komuso offering event at Shitennoji. ( FYI: that whole story is on the Komuso blog). It went over ok, no one gave up any corrections except do not move the flute around so much. ( I was trying to find the sweet spot). The correction I was given last time I got the ok nod from another sempai when I asked him it was, ok? So ok, past that. I am feeling better about the performance on Sunday. The visitor is up. She says she will not play shakuhachi but will play her Koto for the group. Perfect! we all some questions about the Koto as she was tuning. We all looked it over from all angles. It is a little over a week since I had my operation. It is remarkable the difference in the Vision in my left eye. When I compare it to the right now, which was better before than the left, I find it amazing that I was seeing reasonable at all. I do remember seeing a friend a couple of time in the park at not that much distance and also looking for family coming to visit at the train station and not being able to recognize their faces. Just more of an impression that it was them. Also some text on a box in the kitchen across the room I could not read, now I can. So it was a good thing to get the work done. The right eye is coming up next week. I am both looking forward to it and not. Rather I am looking forward to it being over and done with. I am also not so nervous about it since I know fully what to expect. Not really painful, but uncomfortable for a day or so. The drops 4 times a day is a hassle but, better than getting an infection. 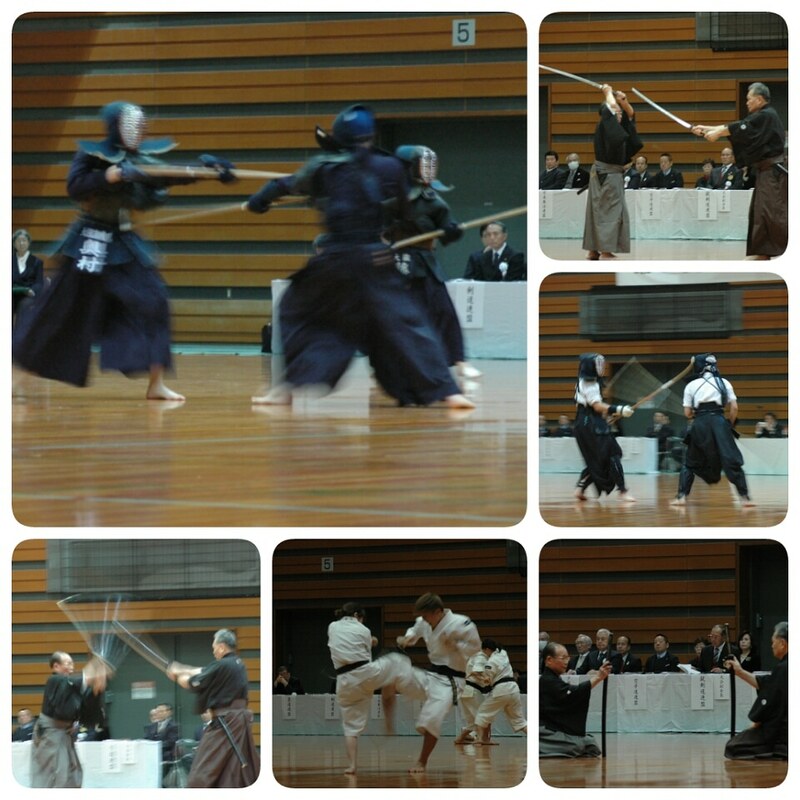 I went to Kyudo the other day the first time since the surgery. It was weird shooting with the glasses on, which I am supposed to wear for protection. A couple of people thought I was just wearing glasses and were surprised to see me wear them. I explained and they went ohhhhh. So the big question that was in my mind, does it affect my shooting. For sure I could see better on the left, however, it was not quite clear, as I saw just a bit of a double image or off image since my right is not balanced with my left. It is differently better but just off a bit. In a different way than before. However, most importantly I could shoot and my hit average was up. Not only up I got more back to back shots. I finished at 60%. I do not credit all that with being able to see better, but with I am getting better at setting up the shot and maintaining how it supposes to be. Meaning my form is better, I believe. I am not going to go all nuts thinking I am making big progress because in the past I thought that way and the next time I shot I was lower. This time I was higher @ 60% than my last which was 50%. So if I can maintain that or increase I will feel, more confident about the Shinsa in June. I really want to pass in June as I feel it would honor Nogami Sensei since that is where it all started for me in Japan. 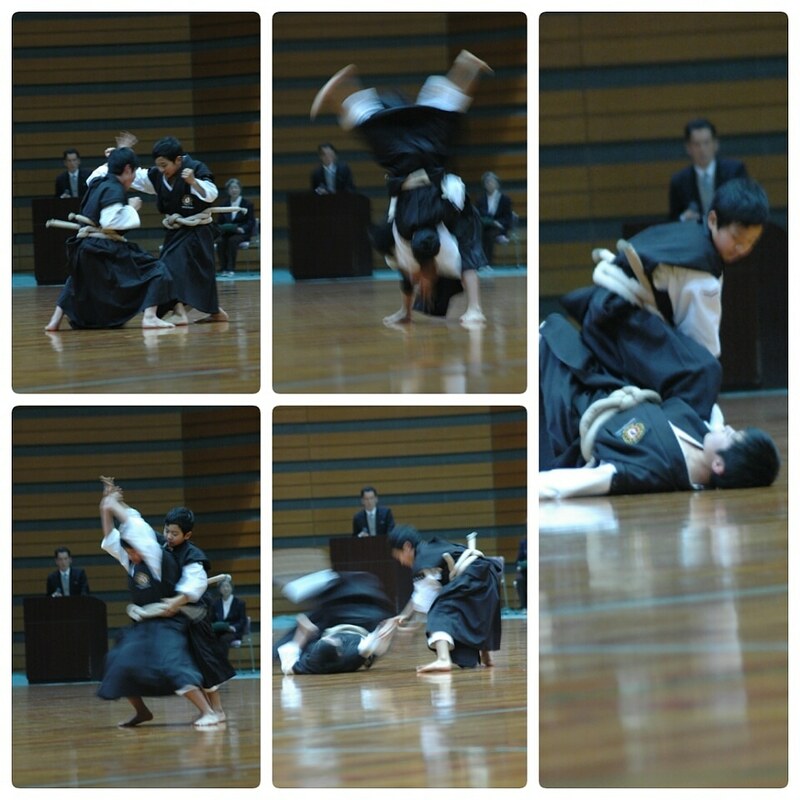 To finally pass my Yondan there would be outstanding! So, I have to ganbarimasu! 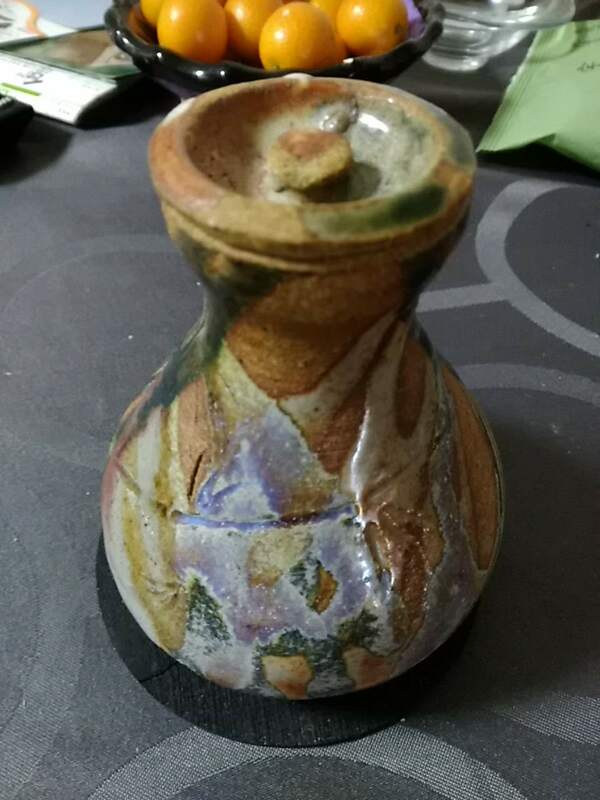 On another front, another item I wanted to do here in Japan was ceramics. I found a high-level sensei before however, he had retired, so that was a dead end. I found there was another ceramics “club” at the community center I was taking Japanese. My wife thought it may be to a beginner class, too housewifey for me. I did not bother going to check it out at all. 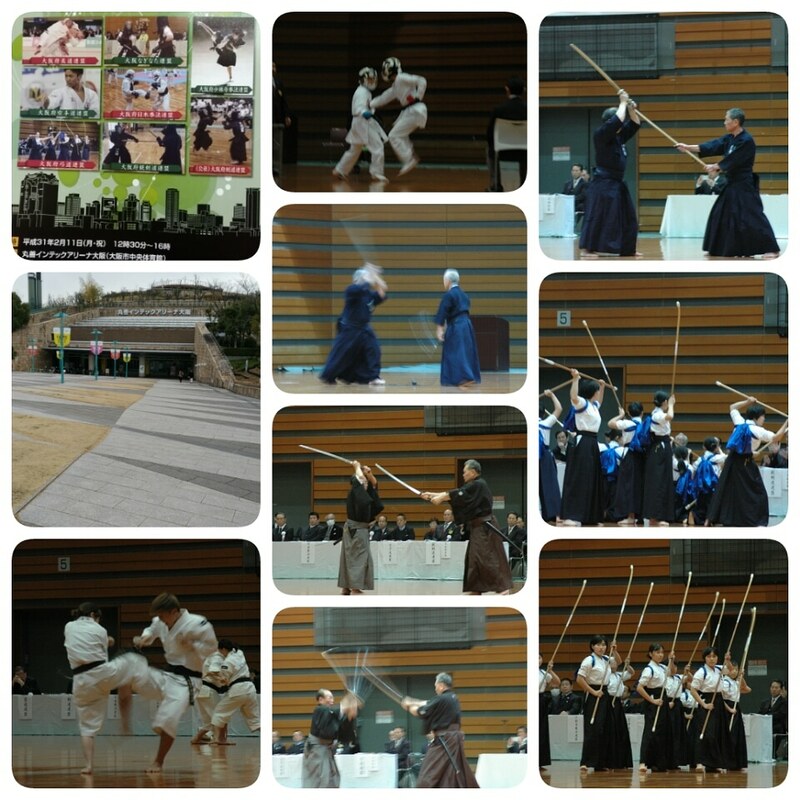 Today I went there, I got the inspiration from going to the Budo expo to go check out. 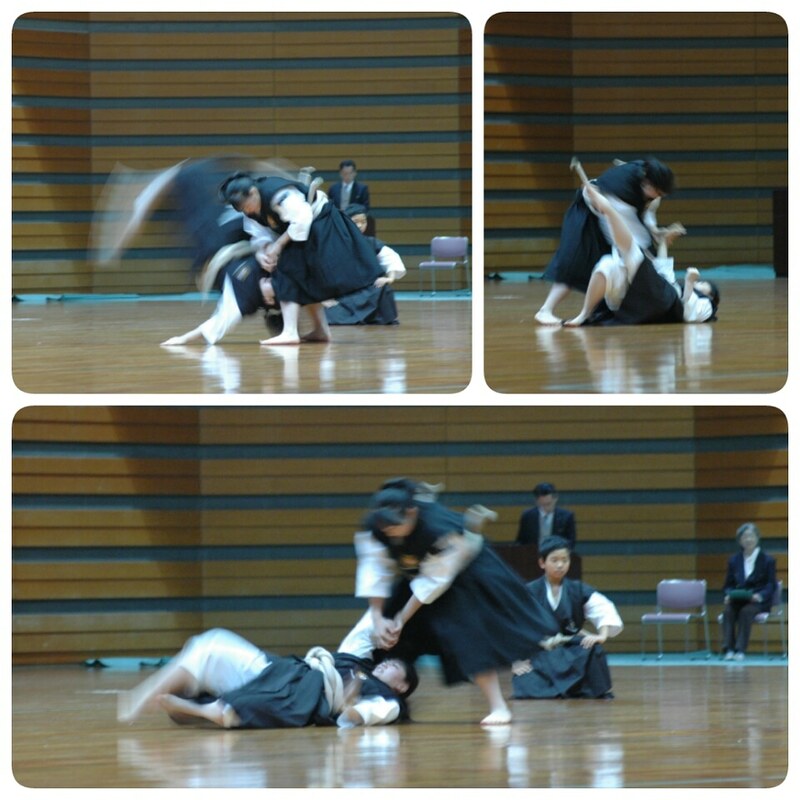 Not related but there was an Aikido class nearby I thought. I had heard back before there was one nearby, but also the ceramic clas. I had my wife call the center and yes there is a ceramic class and it was on a good day for me to go. I went by there today and spoke with the sensei and introduce myself. I rode my bike which I was not supposed to do until I was fully healed. 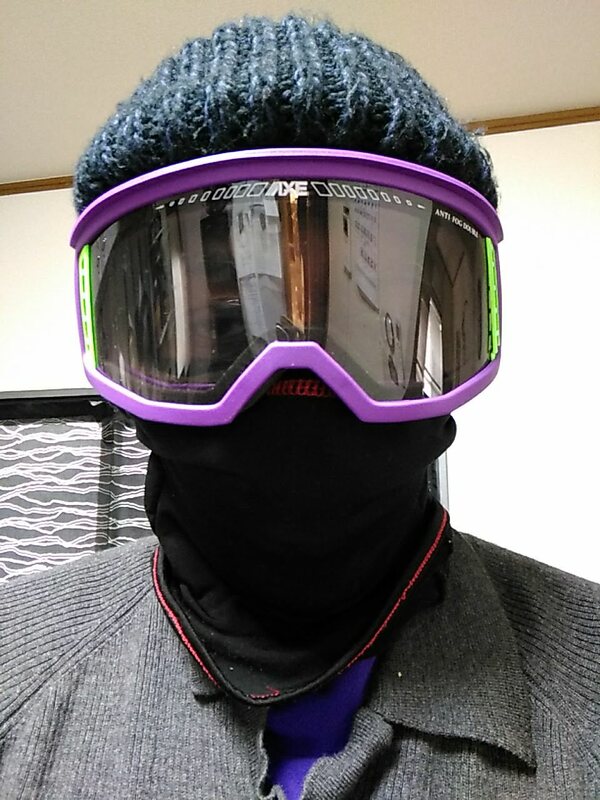 So I took some precautions to protect my eyes, and still, get some cardio exercise. It is a very small group with me it would be 6 total over a couple of days and different times. I looked at some of the students work. Nothing great but some were a few nice pieces. I had taken photos of some of my past work, they were impressed. I was shown the kiln and things were explained to me. I understood very little of all that was said enough though I felt welcome and could join when I wanted. Also, I could pretty much do whatever project I wanted. Help advice was available if I wanted. It was nice. It was also limited as there were no real wheels in use. Mostly hand building with a small hand turned wheel. However a fair supply of glazes. It made me realize how much I learned when I took the class back in college. Mixing the powders of my own glaze, using wheels, also Hand building, coiling, and slab. I was comfortable with it all. All the work done here would be by hand building, which was ok. That is how I started. I can also do that at home. So yeah, cool. I have a couple of projects in mind, I will not need to rush, so I can really take my time and work as I see fit. 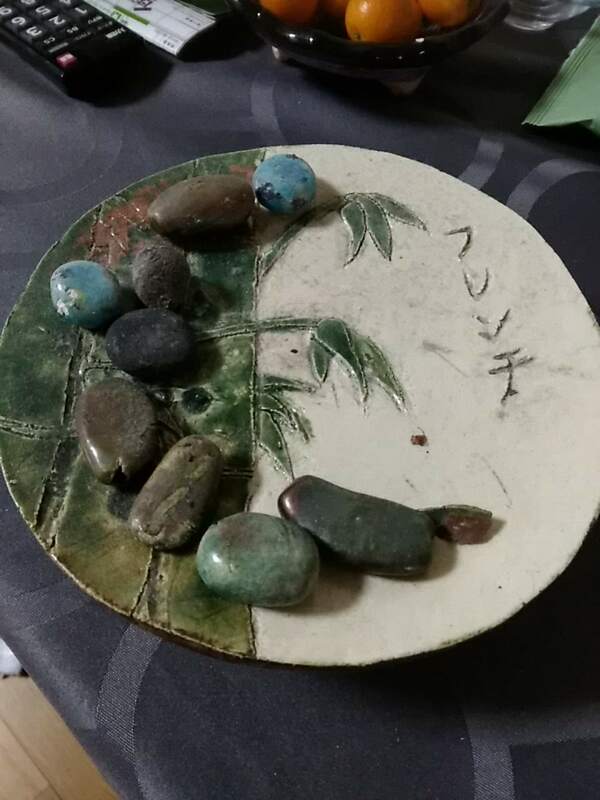 I want to make a couple of pieces for my garden and not houseware stuff, like before, bowls, sake containers, the like. I still have my tools which I brought from the states. So I am looking forward to it. Yeah, another something else to do. But hey, I am here to live and enjoyed the best I can with what time is left. 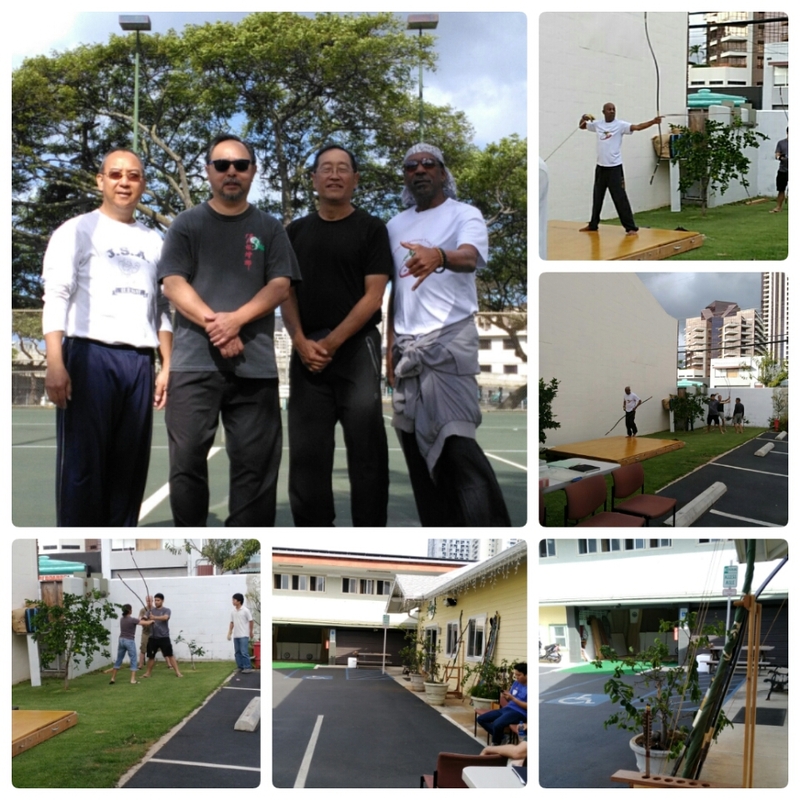 So Kyudo, Shakuhachi, Zen training via SuiZen and some contact with my Chan teacher in Taiwan, plus the band, some occasional work, some occasional sailing. A blessed life here in Japan. If I can add some Kung Fu teaching of some type, and training it would all be perfect. But little by little, small steps. For the amount of time I have been here, it is quite a lot. I really should be looking for some more income, but I have spent most of my life chasing that, now is my time to chase my arts, with my lifetime left. With the blessing of the Universe, I should have at least another 10 -15 years left. I will plan on starting the ceramics in May, after returning from Hawaii. The day and time is perfect and will not interfere with my shakuhachi class or when I am working during the summer back with the silver center. I believe that if I need to miss a day or time I can switch up with another since it is the same sensei running the whole program. Next is to find an Aikido or something club/class or even better a place for me to teach and students, that would be wonderful and the icing. I may have a place to teach, maybe. 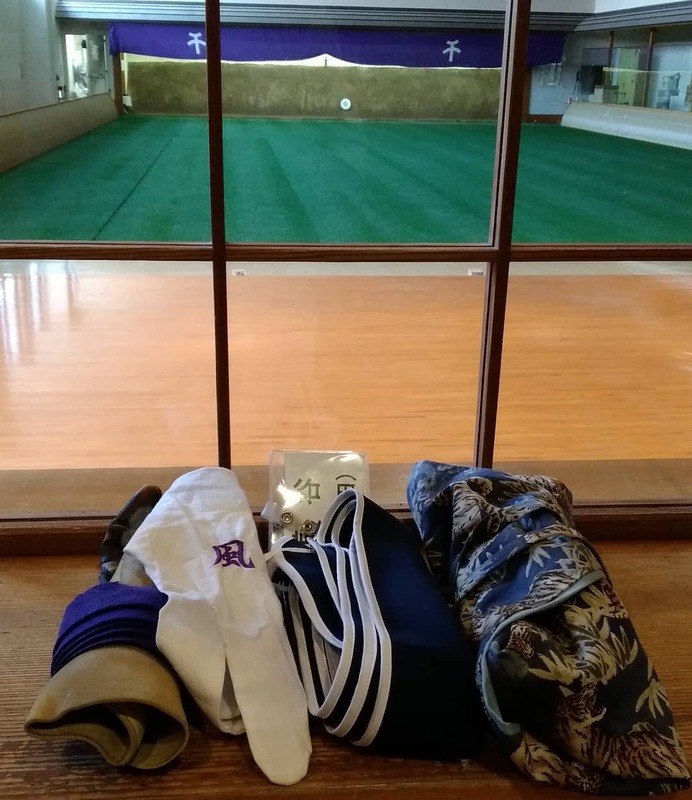 There is a new community center opening just around the corner from us, also a Sempai in the Shakuhachi group is an Abbott of a temple not too far away. Then there would be finding students. I would even give free TaiChi classes to seniors if there was interest as part of spread Buddhist dharma. 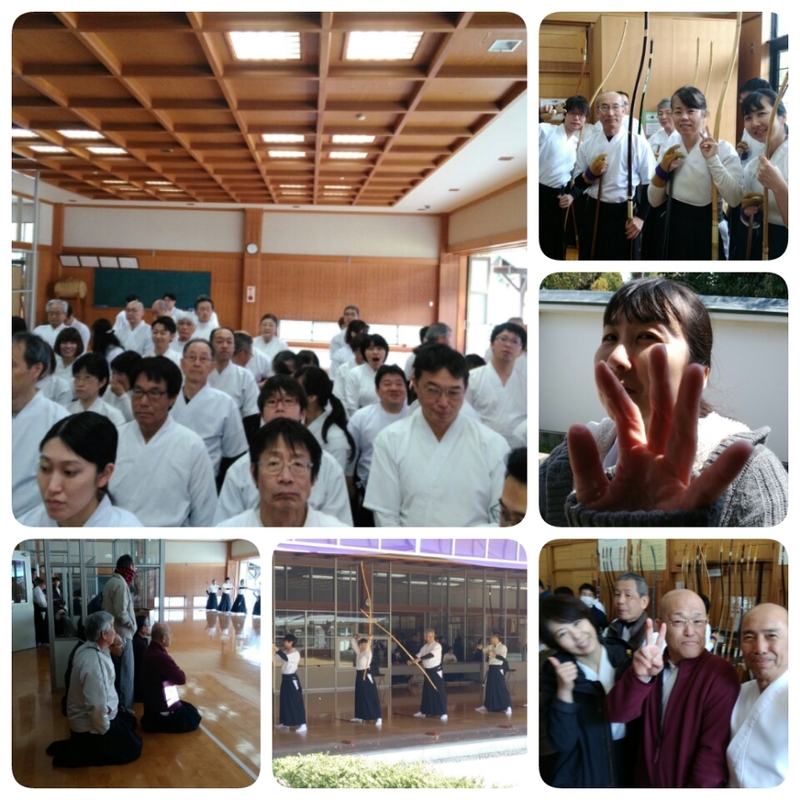 It is not really about the money, same as teaching Kyudo, it is not the money. 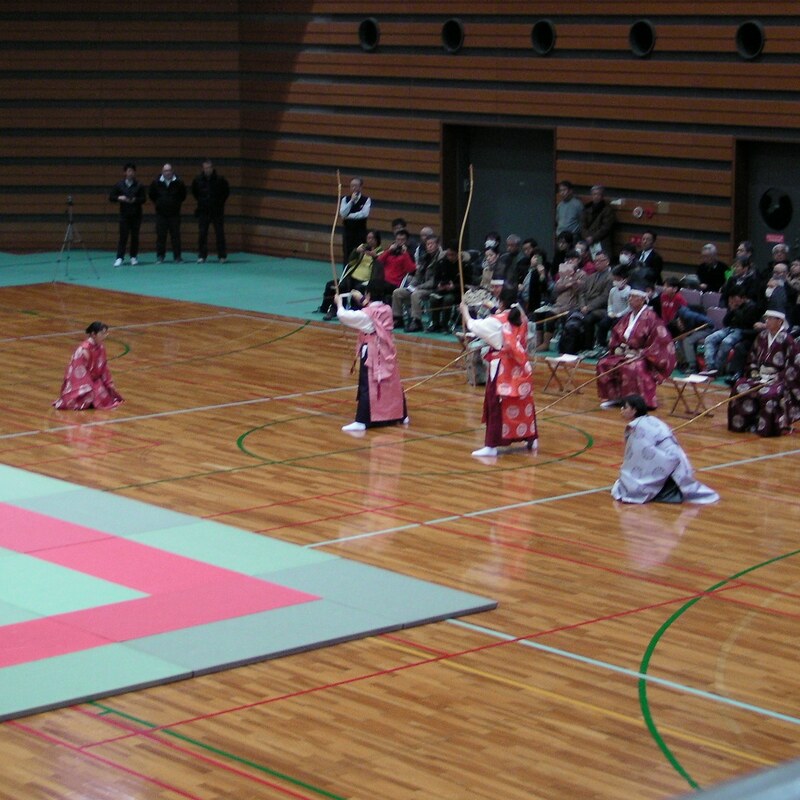 In fact, one does not pay for Kyudo instruction. You pay for club membership, space, not the lessons. My eyesight has been getting bad, not extreme but bad. I have been to the doctors a couple of times and they have verified something is up. My last drivers’ test I barely passed in the states. I have a boat license test coming this year. I did think that not I would pass. Cataracts I was told by one doctor. Another at the local hospital have that but my problem was not that so much there maybe, maybe something else. An old injury. That was news to me. My wife was not satisfied with the verdict from the hospital. This was last year. My boat License needs to be renewed this year. So I wanted to go to get glasses if needed. I was ready to deal with the glasses if needed. Also, I thought maybe it will help with my Kyudo hits. My wife did research and found an eye clinic nearby, with a good, very good reputation from the locals. The thing that is said about government-aided health care is long lines. I have never had a long wait in the five years we have been here. We go in just before my appointment and I am out within an hour or less even with blood tests and the like. This clinic for the first visit one does not need an appt. my wife went in ahead of me and I would come over after my Kyudo class, she would check in then we expected to have a short wait. After she arrived she called me saying there was no wait come as soon as I could. When I arrived we waited about 20 min as people had started coming in. The doctors saw me and ran me through some checks. I was amazed at the high-tech equipment there. Anyway, yes. My main problem was not my eyes so much, but the clouding due to cataracts. The operation would cost about 600.00 (US) per eye. Even with our insurance. The operation was scheduled for the next week. Better to get it done and over with. One eye was set up, the other, if I wanted, could be done two weeks later. Ok, I said. Let’s get it over with. I was somewhat uneasy. I have never had any type of surgery. AT my age that is I guess unusual. I know others who have had major operations, some who have almost died, and some who are dead. Getting old is not for the weak. I dislike medical stuff. So far I have been blessed. I do think though if I had stayed living in the US I would have had some problems by now, due to the western diet. There would be a visit beforehand for checks and explanations of what was going to happen. I came back for that and received drops to start taking three before the operation. Ok, it was set. Things were explained to me by someone who spoke English as my wife was not available to attend. Very nice guy, helpful. Day of the operation, I needed to be there two hours beforehand for pre-stuff. More exam does, etc etc. I was told there was be no pain. No pain so I was not too concerned. My wife was more so than me. On the day of the operation, there were many others there also. I settled in, listened to some Zen podcasts and waited. The operation I was told would take only about 5-10 min. I watched people go into the back and a short while later would return out with big patches on their eye. But none looked stressed. Ok, I thought this may not be too bad as they say. I had been told just what would be done during the procedure. It weirded me out a little, but I stuck with the no pain part. My turn. I go in and I am asked about where what arm was best to put the drip. This is all in Japanese, it took me a little bit to figure out what was being said. I thought oh jheeeh, ok it is on, this is real. Must be some kind of numbing I.V. into my arm. Ok, done, I waited. Ok my turn, I followed the nurse into the back room, there were several techs and a doctor(s). I sat and they set me up. Face mask, covers, shields. I was getting the creeps, but not bad., breath, in breathe out I had been told I would not see the knife or anything but only like a kaleidoscope. 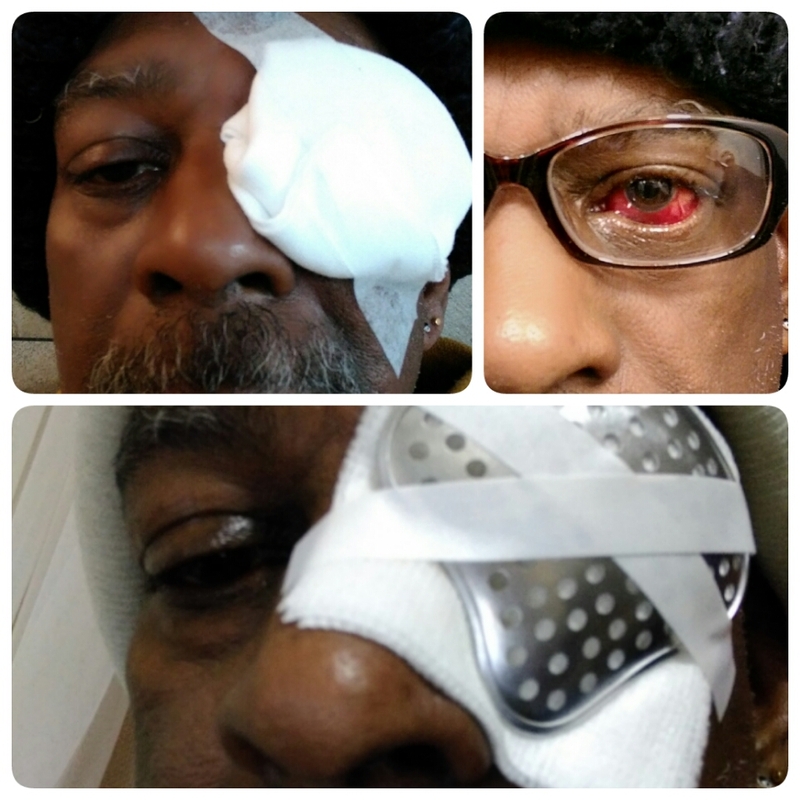 It was supposed to be done with ultrasound and then a vacuum after eye lens was moved forward. Ok, it was on. I watched the lights. I was told at one point there would maybe be a small pain. I felt a burn, not bad, but still a burn. That must have been the cut /burn out of the connection to the eye film. Only was for a moment, then other stuff was done I was told there would be no pain. That was true. It was not pleasant and seemed like forever but soon it was over. I was relieved…a lot. Next out to the waiting area. Although there was no real pain I was a bit in trauma. My legs were shaking, not a lot and no one could tell but me. Like I had the chills. I knew I had gripped the chair tightly during the operation a couple of times and told/made myself relax, Zen and Shaolin training. I was asked if I felt ok, did I need to vomit while I was waiting. No, I was ok. I understood then why they said no food a couple of hours before the operation, I guess some people have gotten sick. Yeah I could see that from my shakes. It was more a mental thing than an actual pain thing. I received some more instructions. Shortly later a person came and gave me more drops and some painkillers if I wanted to take later. It was done. I went home and fell asleep for a while. Then there was some pain, not too bad, small. I had dental work before that was worse. I did not take the pain pills. I just rolled with it, after a few hours it passed. I had a reasonable night sleep, after my first nap. I watched some TV and played Shakuhachi before going back to bed. I had another appt. in the morning for a checkup. I was feeling ok the next day. I had no idea if I could see, I had the patch on. I could see just a little from the side but not really see. I wanted to keep my eyes closed because when I moved one they both moved and I could feel it, not comfortable, but not painful. Back to the clinic. After the patch was removed. I was cleaned and checked, given more drops, asked questions, rechecked. I was asked how my vision was. I had a little difficulty opening my eyes fully but I could do it and I was shocked how clear my sight was on that eye. More drops, waiting, checks. At one point another man spoke with me who just also had the operation the same day as me. I was also good. I was given new drops to take home, protection glasses, and a night shield, more instructions, and my bill. Because we are low income we have another government discount. The same we received when I had my dental work done. Which in the US would have cost me $5-10,000.00. No matter what procedure within a month, my cost would be about $380.00. Pharmacy stuff like drops and glasses where extra but they were only about $15.00 U.S.. My next operation is in two weeks within the month period, so I have no other medical cost for this. With our standard medical it would have come to about $1,200. U.S. there are some good points to being low income in Japan if you can live simple. My U.S. SS income is not counted toward our income support. So to the government here, we live off of my wife’s part-time work and my part-time work. It was a blessing moving here. Not only for my health benefits. but being away from all the hate, madness, and anger that is going on in the States right now. It is all so depressing. I am cutting back, way back on my FB use. It is too much of a drain my spirit, the bickering, attacks, divisions, lies. Also, there is no reason to do me to be so emotionally involved. I do not live there and have no plans to ever again. It is waste of time to be on FB so much. Losing friends and all that over things I can not do anything about other than vote my heart, like everyone else. So the point of this is besides the story is all the talk about how bad universal health is, is BS! I know of no one in any country that has it, not want to have it. Anyway back to the operation, it was not pleasant, I guess no medical thing is. In this case, it was more, mentally distressing than physically. I go back in two weeks for the other eye. I am not looking forward to it, but it is bearable and beneficial to have it done and I’ve after a few days of discomfort. If you need to have the surgery, do it and move on. Now I can see clearly and able to get a Japanese drivers license. Maybe, just maybe I can get a small motorcycle one day an explore the countryside since it is doubtful I will get to explore the Waterworld anymore than I have. I have some slight access to a local boat, but I dislike being a bother, troublesome for the access. On the other hand, one never knows what the tide or the universe will bring in…Amitoufo.